Ask friends about what really drives them mad at their workplace, and we bet at least a few will pick micromanaging bosses over low pay and short lunch breaks! Micromanagement is pervasive in team cultures across many industries. Alexa Land, a realtor, is no stranger to micromanagement and considers it to be a slow erosion of trust. Micromanagement is costly; it stifles team members and dampers productivity. Highly engaged teams are 18% more productive and 12% more profitable than teams that are more disconnected. The worst part? Often, we don’t even realize we’re engaging in such intrusive behavior. We fail to see how our leadership is anything but a good, orderly direction for a tightly-run ship. Micromanagement, however, creates tension and resentment within the workplace, pitting us against each other. 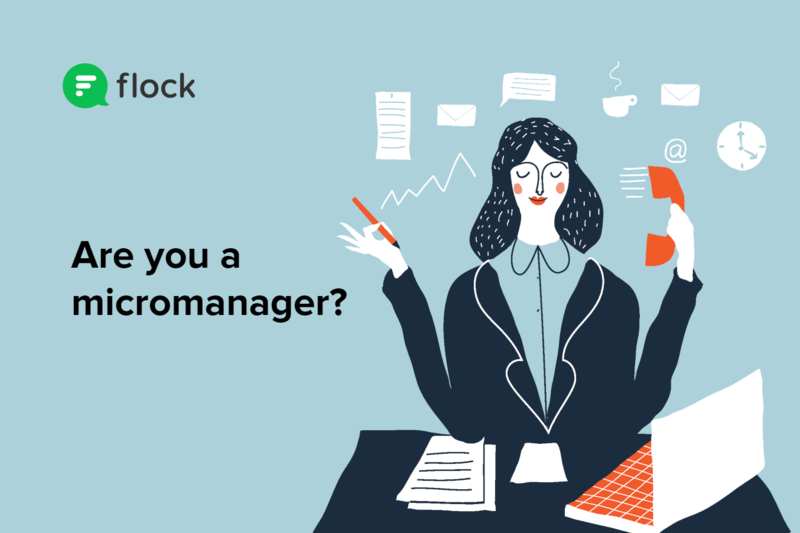 Whether you want to evaluate the effectiveness of your leadership style or simply want to know what behaviors to avoid, read on to discover five key indicators that you might be a micromanager. You catch yourself saying or thinking about how you would’ve done a project differently. As a manager, we have several items on our plate on any given day… redesigning projects in our mind should not be one of them. ‘Different’ does not imply ‘bad’. Perhaps our methodology for accomplishing the project is different; this does not mean that another approach is wrong. You rarely find the work of your subordinates acceptable. You find yourself in fear of possible outcomes based on past negative experiences. Having been let down by team members in the past can cause us to inappropriately direct our frustration at team members in the present and let fear drive our decisions. Dropping in to ‘check on’ your team or see how a project is going is part of your morning routine. Despite having regularly-scheduled meetings and other digital opportunities for connection and accountability, you still find ways to impose yourself on your staff while they’re trying to get work done. You are a hands-on and helpful manager who likes to ensure that team members are not wasting their time. Or maybe you are genuinely interested in seeing your team succeed, and you think the way to get there is by ensuring that team members work every minute at work. So looking over subordinates’ shoulders to make sure that their time is being used wisely is just you being more hands-on and helpful. Our bosses did it to us, and their bosses did it to them. Micromanaging behaviors are easily passed on from one manager to another - until they become the only way we know how to manage people. However, this trend can end with us. By working to disrupt the patterns of behavior discussed here, we can actively set the standard for new, more effective management styles within our teams. We start by evaluating our own management habits and commit to making the workplace a more happy and healthy environment for every team member. What other signs of micromanagement have you noticed - in your own leadership style or in other leaders? Let us know in the comments below.